Click here for a houseboat rental quote.If you’re looking for a place that is exotic and away from all the hustle and bustle, look no further than Vaal River. The Vaal River is located in Gauteng, South Africa, about an hour south of Johannesburg. Here you can relax and unwind in your choice of houseboat rentals. These houseboat rentals are your home away from home. They are perfect for any size family or party. 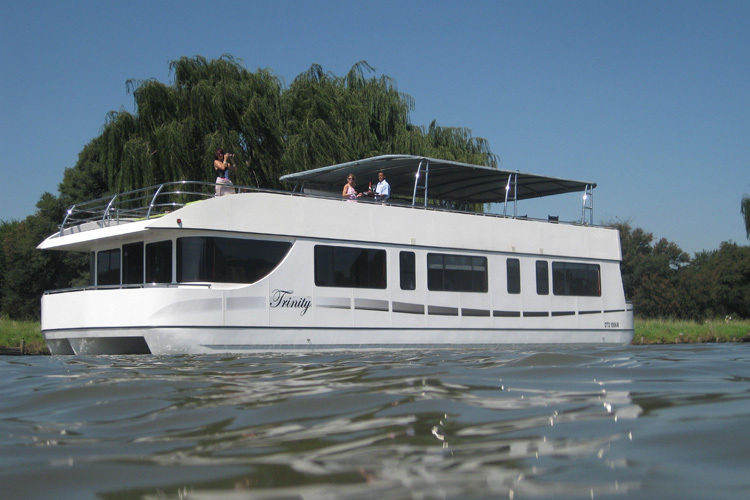 You can choose from affordable modest houseboat rentals on the Vaal River or if you have the cash you can rent one of the more luxurious boats complete with an on-board chef and skipper. For those who don’t want to spend the extra cash or a high-priced boat is out of their budget, they can easily learn how to man the boat with a quick lesson from an instructor. Skipping a boat is relatively easy. Be aware, some houseboat rental companies require that a person has a skipper’s license before they can take the boat. Once you have down the skill, you can take out the boat and see why houseboat rentals is such a astonishing experience while travelling down the Vaal River. There are tons of activities that you can do during your trip down the Vaal River. One popular activity is birding. You will get to see the South African grey heron, yellow-billed egret, shelduck and the African spoonbill in their natural habitat. Fishing is also another popular sport for those who coast down the Vaal River. If you truly want to enjoy these two activities be sure to rent a GPS/fish finder. Plus bring or purchase a pair of binoculars and get a field guide for birds. In addition there’s rafting, kayaking and canyon trials along the river. If you looking for fun on land, then you will find plenty to do. Houseboat rentals on the Vaal River is definitely the way to travel down the Vaal Triangle since you can pretty much anchor your boat anywhere. On land you will find a casino, art galleries, shopping, spas, golf courses and just about any kind of entertainment you can think of. You can enjoy some delicious authentic South African cuisine. You can relax and sip tea in many beautiful tea gardens. Just walking around you will be awestruck at the scenic beauty of this region. If you want to see even more nature, be sure to go visit many of the hiking trails. There are several centers for the little ones to play and have fun. Weddings and big parties are also a big hit. For those who are on business trips, they will have everything they need for work and productivity South African style. Houseboat rentals on the Vaal River are still somewhat of an undiscovered gem in travel world. Though throughout the years Vaal River is becoming more known and even more are flocking to this 100% total relaxation destination spot. During the week you don’t be surprised if it seems that you have the whole river by yourself, during the weekend is when the crowds come out. As far as safety, Vaal River ranks high on safety. So relax, drop down the anchor and watch the stars in the night sky as you drift off to sleep in the Vaal River. 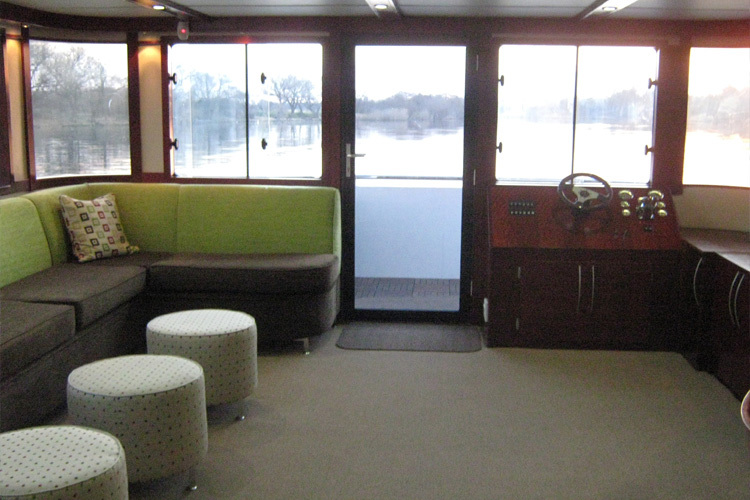 Book your Vaal River Houseboat today at the Liquid Lounge, your houseboat rental company in the Vaal Triangle.